On 23 Dec. 2015, the Moon will occult for the 12nd time in 2015 the star Aldebaran. This is the second one accessible from Italy, after the 29 Oct. event. 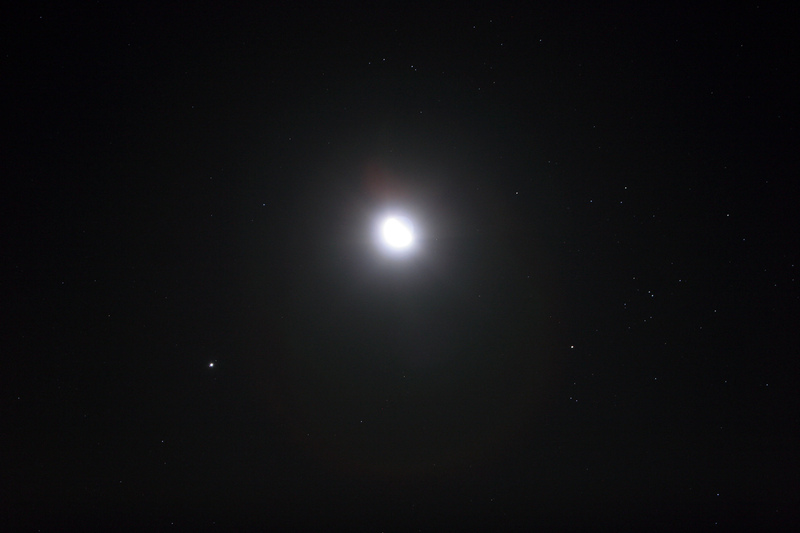 Such an occultation of a star by our satellite happens often, while the Moon travels across the sky, among the stars. But this time the occulted star is one of the brightest and famous ones out there: Aldebaran, Alpha Tauri, the brightest star of the zodiacal constellation of the Bull, is a giant star, about 67 lights years from us. 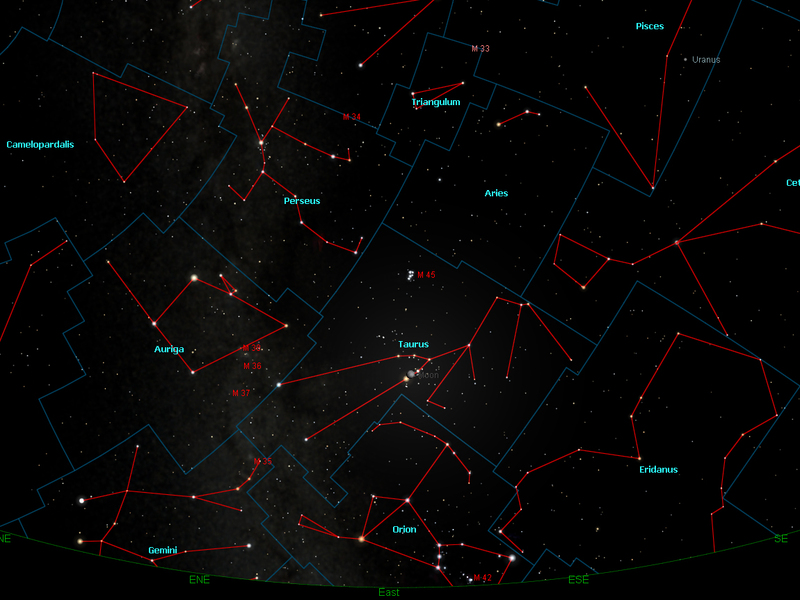 The 23 Dec. 2015 event will be visible from Europe, in particularly from Italy, where the Virtual Telescope Project is based. 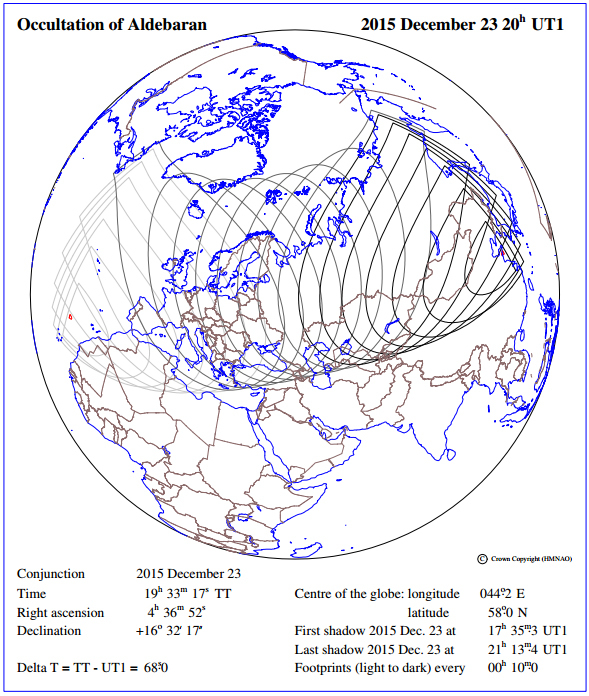 Below is a chart showing the path of visibility of the occultation. 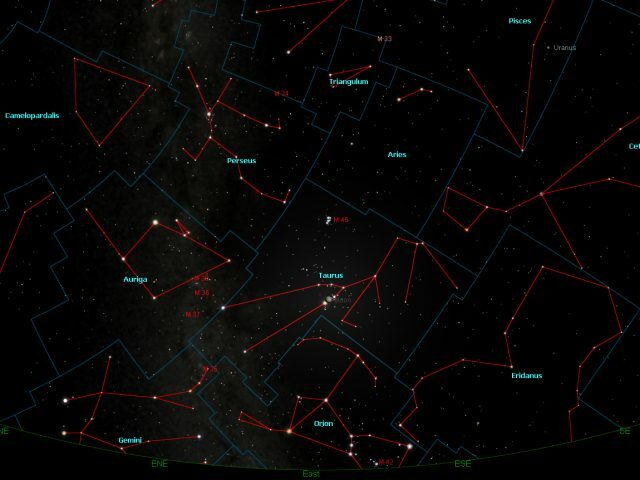 From Rome, at 06:00PM local time (UT+1), looking east the Moon will show well already, two days before the full Moon and close to Aldebaran, among the Hyades, the stars making the face of the Bull. As time passes, our satellite, during its apparent ride across the stars, will approach Aldebaran and at 07:03 PM (UT+1) the Moon will occult it, covering the star with its dark, eastern border. It will be a particularly fascinating sight, as the star will disappear suddenly into nothing. 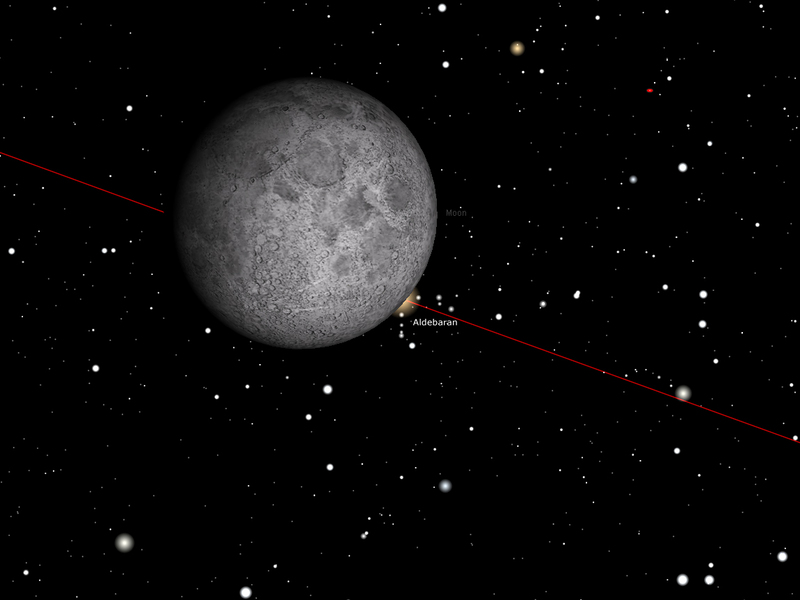 Just one hour later, at 08:04 PM (UT+1) Aldebaran will show back, popping out from bright, western side of the Moon. 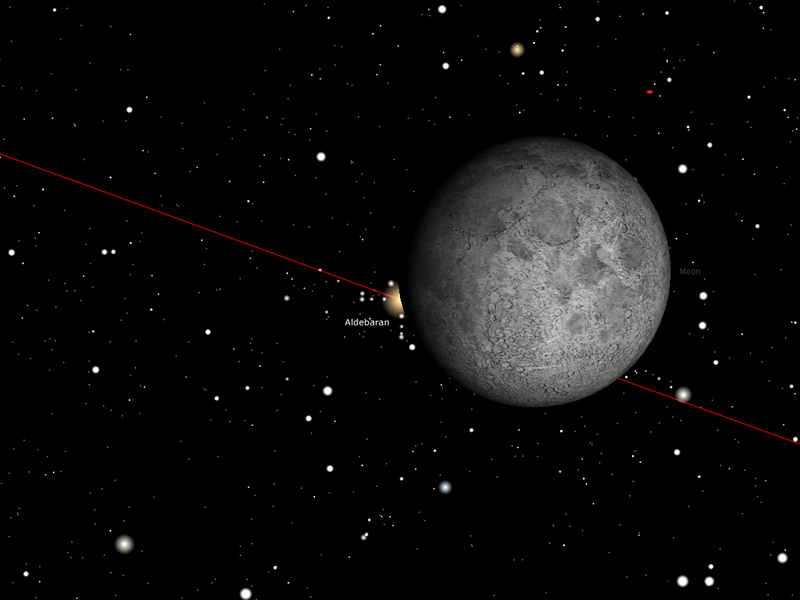 You can try to observe the event by naked eye, though the bright Moon will not make easy for you to spot Aldebaran. A ordinary binocular or small telescope will show the event extremely well, so if you are in the right part of the Earth be sure to look for the Moon and Aldebaran on 23 Dec.!